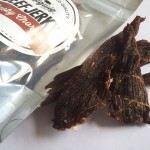 Home » Latest News » John Mayer Is Now A Jerky Critic… for dogs! John Mayer Is Now A Jerky Critic… for dogs! 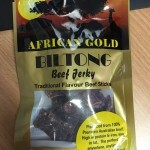 The singer went on a random jerky reviewing spree this weekend. And the result was a stream of crazy Snapchat stories. Mayer along with his dog, Moose, sat down to taste and talk about a variety of jerkies. But the madness began when he ‘jerky switched’ and popped Moose’s dog friendly jerky instead. And no, this wasn’t a mistake. 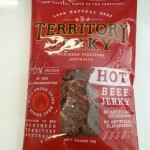 John started off with a bag of Chef’s Cut Turkey Jerky and his pet pooch with some Real Meat Lamb Jerky Treats. The switch worked both ways, which meant even Moose got a taste of some hooman jerky.